Instant Pot Pineapple Chicken made in just 30 minutes, with minimal prep work! All you have to do is dump and cook all the ingredients! 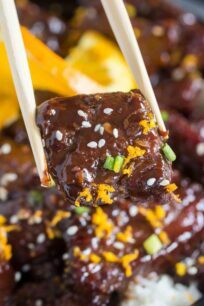 We love making easy and delicious Asian dishes in the Instant Pot such as our famous Instant Pot Orange Chicken, Instant Pot Mongolian Chicken, and Instant Pot Beef and Broccoli. Instant Pot Pineapple Chicken is ready in just 30 minutes! 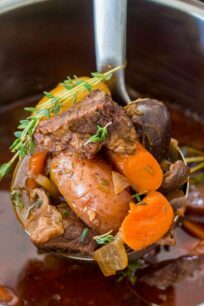 This delicious recipe is one of the easiest and tastiest you can make in your pressure cooker. 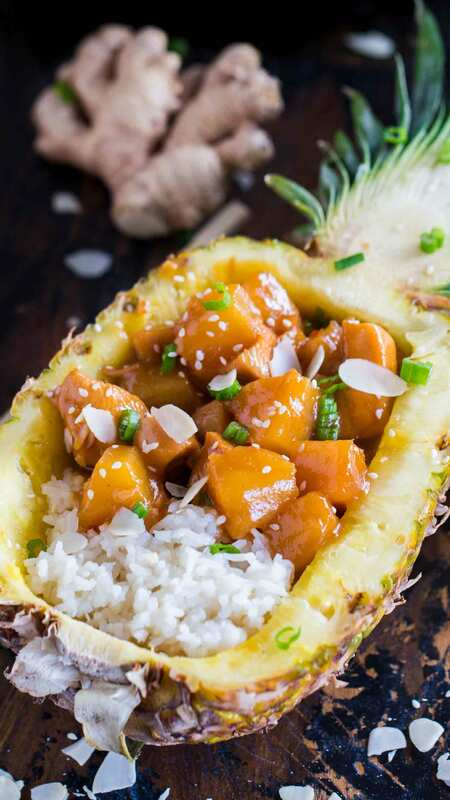 I am a huge fan of making Asian recipes in my Instant Pot and this Instant Pot Pineapple Chicken is my latest obsession. The recipe requires minimum prep work and you don’t have to sauté the meat. You dump all the ingredients into the pressure cooker and cook for 5 minutes. 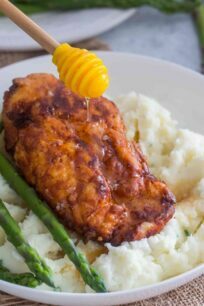 The chicken is tender and sweet, with a tasty tropical flavor and a delicious aroma from the fresh ginger. 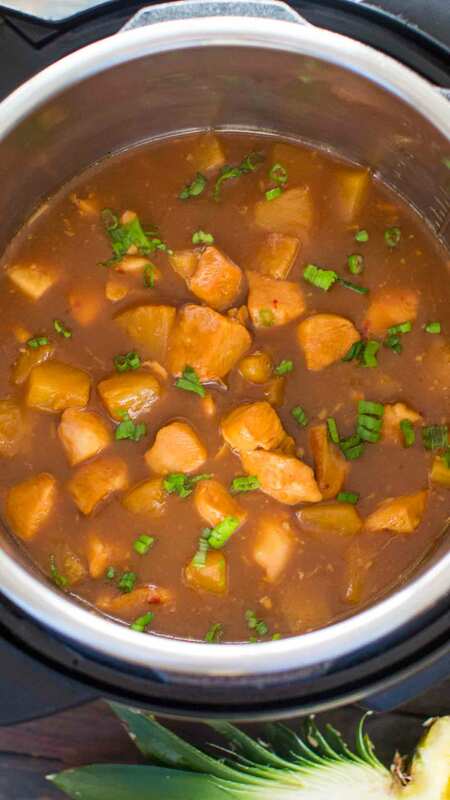 The brown sugar and pineapple juice make the most amazing sauce, that you will just want to pour it over rice. I used organic chicken thighs. However, this recipe also works with chicken breast. You don’t have to adjust the cooking time. Brown sugar works great in this recipe. But if you really want to substitute, a healthier alternative would be 1/3 cup of honey. You can also use 1 1/2 cups of fresh cubed pineapple and 1 cup of pineapple juice. Using fresh ginger will add amazing flavor to the dish. But if you don’t have any on hand, use 1 teaspoon of ground ginger powder. When it comes to adding the cornstarch, you have to mix it with pineapple juice until dissolved and add the slurry to the Instant Pot at the end to thicken the sauce. Do NOT add the cornstarch by itself to the Instant Pot, it will create a sauce full of lumps. If the sauce is too runny, mix another 1-2 teaspoons of cornstarch with the same amount of water and add it to the Instant Pot. Please note, that the sauce will get thicker with time, so definitely wait a bit before adding more cornstarch. You can add a touch of heat to this recipe if you prefer, by adding some Sriracha sauce or more red pepper flakes. Using garlic will add amazing savory flavor to the overall sweeter dish, you can use more or less. A Natural Pressure Release means that the pressure is released gradually. For a Natural Pressure Release, you click on Keep Warm, and wait 10 minutes, after which you open the valve and let any leftover pressure to release. Another option is to Turn Off/Unplug the pressure cooker, wait 10 minutes and after that open the valve. A natural release is usually used when cooking soups, meat in a large amount of sauce, pasta or steel cut oats. This method prevents any foam from the dish to shoot out through the valve, which can happen during a Quick Pressure Release. Instant Pot – I use it all the time, I have the 6 quarts one. Instant Pot Pineapple Chicken made in just 30 minutes, with minimum prep work! All you have to do is dump and cook all the ingredients! Open the pineapple can, set aside 1/4 cup of juice, the rest will be added to the pressure cooker. 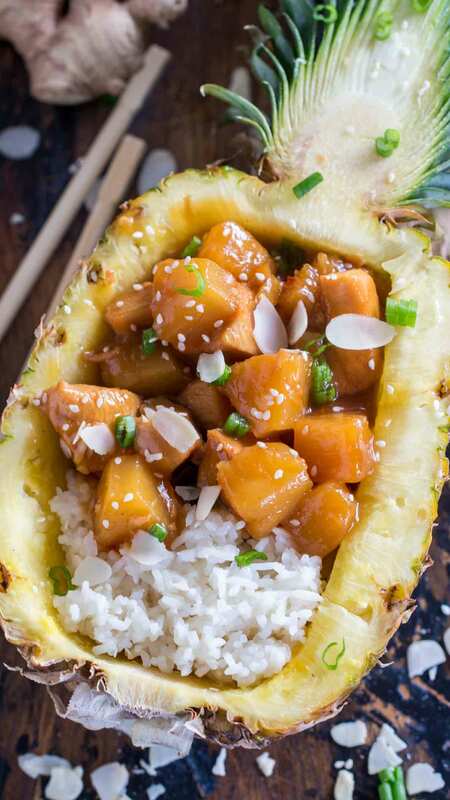 Add all the ingredients from the "Dump & Cook" section to the Instant Pot: chicken, soy sauce, sesame oil, garlic, ginger, hoisin sauce, red pepper flakes, brown sugar and canned pineapple chunks with juice (except the 1/4 cup). Stir well to combine all the ingredients. Close lid, make just the pressure cooker is sealed. Select the Poultry function and adjust the time to 5 minutes on High Pressure. Or just select Manual, and select 5 minutes on High Pressure. Select again the Sauté function, on LOW. In a small bowl combine 2 tablespoons of cornstarch with 2 tablespoons of pineapple juice, whisk until all combined with no lumps. Add the mixture to the Instant Pot and gently stir to combine. Cook on Sauté function for a few more minutes, stirring gently, until the sauce thickens. If you want the sauce even thicker, mix one more tablespoon of cornstarch with 1 tablespoon of juice and add it to the pressure cooker. Let the chicken stand for 5-7 minutes, the sauce will thicken more. Serve over rice and garnish with fresh chopped green onions, sesame seeds and slivered almonds. The dish looks yummy, can’t wait to try it! That looks so good. I love the added touch of serving it up in the pineapple. Great job, and great recipe. This looks delicious. I love how you served it in a pineapple. How cute! That looks amazing! I actually have a pineapple this week and I think this would be a great idea to make. Yummy!! I love pineapple chicken but I don’t normally make it because it takes such a long time to whip up enough for the entire family. I love how you presented your dish in the pineapple!! The kids would get a hoot out of that! 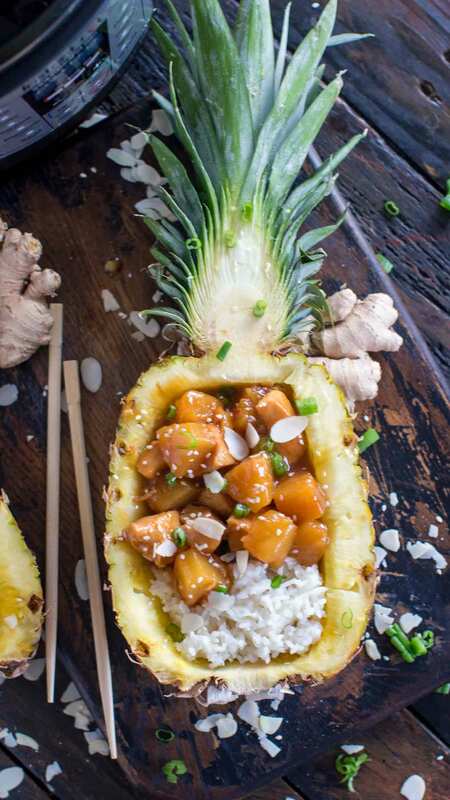 Pineapple chicken has always been one of my personal favorites. I love how you presented it in the actual pineapple – brilliant! That looks AMAZING!!! I love fruit in my savour dishes!!! I haven’t bought into the insta pot thing yet. I have a slowcooker and NEVER use it and I worry the instapot will be the same! This post is definitely changing my mind! I feel like I hit a goldmine with all of your IP recipes! I am having so much fun trying all of these new recipes. That pineapple presentation is beautiful! This sounds good, and I love how you served it in a pineapple! What a great presentation for a dish. I will have to give this recipe a try. That is super yummy looking and presentation is everything! That looks gorgeous in the pineapple. I could definitely sell this at my house. The kids would LOVE it. This sounds so yummy and I love how quick it is! Wow, I am badly carving for this. I used to cook this whenever I have free time. I think I should try this again. I’ve been wanting to try this recipe for some time now! It’s packed with flavor and I’m sure it tastes SO good. Thanks for the instant pot version of this recipe! DROOLING! This is my kind of recipe. I love how quick and easy the meal is and the presentation is PERFECT! Looks like I am having this for dinner tonight! This sounds so yummy! I love pineapple so I think that would enhance the flavors in this dish. 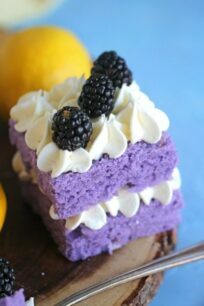 This looks really yummy. 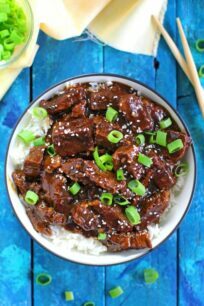 I have seen quite a few different instant pot recipes lately and this one looks AMAZING. I love Pineapple. Can’t wait to try it. 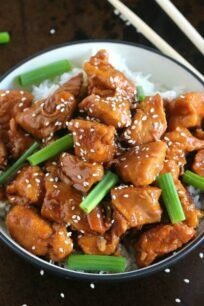 I love the idea of doing Pineapple chicken in the instant pot. I am really going to have to give this a try soon. That looks so good! I love how you serve it in the half of a pineapple. Genius and beautiful! I really need to use my instant pot a little more often! This looks like a great meal idea. I love how you served it in the Pineapple half! I’ not usually a fan of fruit and mean together (don’t even ask…LOL) but this actually looks really good!! I need to try this for myself! I felt the same way I hated adding sweet and savory together especially pineapple because it’s so sweet but this is amazing definitely try it! Yum! That looks really good. I’ve been seeing a lot of Instant Pot recipes lately and they’re just making me drool. I need to get me an Instant Pot. Pineapple bowls are so fun! My family will love this dish! Perfect! I just got an IP! I love the pineapple boat!! This looks incredible! I love how you served it in a pineapple, such a cute idea! Anything that is super easy to make and delicious are perfect for me. 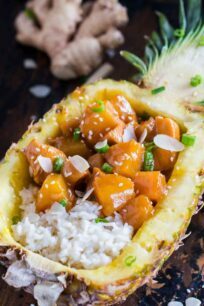 This Instant Pot Pineapple Chicken sounds really tasty and appetizing! Can you believe I made this once and my kids hated it?! They don’t know what’s good. 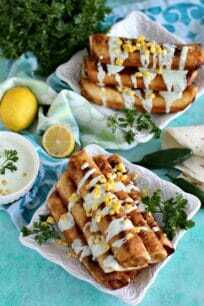 Wow this looks straight from food magazine! AM SAVURAT DIN PLIN SARBATOAREA CU UN ASA DELICIU!MERSI MULT,SUCCESE! 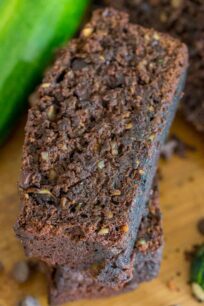 This recipe is so amazing and so simple you can’t mess it up even if you don’t add the exact ingredients. You don’t need a pressure cooker either a simple large pot will do and a cover…. 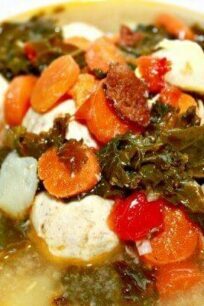 So delicious sweet and savory perfect over rice saves well this is going to be one of my staple meals for the week! Do you use Light brown or dark brown sugar ? Did you use light brown sugar or dark brown?? I did make this last night and it was delicious it’s a keeper. Thank you for the recipe. Gave leftovers to my son to take home and they loved it as well he said tested better then Chinese restaurant. I did use dark brown sugar and came out wonderful. This looks amazing! Hope I can handle the spice. Hey! Is it possible to cook brown rice (or white but brown is our preference) at the same time pot in pot? Do the timings work? Thanks! Yes, check my Tikka Masala Recipe to see the measurements for rice. Can you use frozen chicken thighs for this? You will have to adjust the time a bit if frozen, depending on the size, I would add additional 3-5 minutes to the cooking. Please refer to the post above. Used this recipe as my first one in instapot. I was astonished at how good it was!!! Chicken was so moist. Preparation was soooo quick!!!! Only thing I can complain about is this is a very sweet dish. May want to cut brown sugar a little. Scared to see how many calories & carbs. Other than that this is delicious. what a great idea to add water chestnuts! If I wanted to only do 1lb, would I just halve all of the ingredients? there may not be enough liquid if you halve all the ingredients, do 1 lb of chicken and keep everything else the same. yes you can, no need to adjust the cooking time. i live in costa rica and have access to fresh pineapple, can I use fresh in recipe? Yes, you can use fresh pineapple, add also about 1/2 cup of pineapple juice. I made this for dinner tonight using 1 lb of chicken breast and 10 oz of pineapple with juice except what was needed for the slurry (the can was 398 ml about 14 oz). The rest I left the same, including the chili pepper!! It was wonderful!! Next time I might cut the chili peppers by a bit if I made a half portion but as is, it was super tasty with lots of sauce for the rice. Did PIP Basmati Rice and the rice picked up some of the flavours which I found interesting. Most certainly on the ‘make again list’. Thanks for a great dinner. This looks amazing. Has anyone ever done it starting with frozen chicken? What adjustments would need to be made? I am new to the IP life! Best instant pot dinner I’ve made yet. Yum! This was great tasting and easy to put together. I had 3lbs of chicken so I doubled everything. It fed 3 hungry adults for dinner and leftovers for lunch in the frig. Will be making this again.